Whey protein hydrolysate (WPH): WPH is considered „pre-digested“ since it breaks down peptides — the building blocks of proteins — to help with quicker absorption. We recommend buying the whey protein powder you like through Amazon’s „Subscribe & Save“ program if possible since it can save you up to 15%. At any time, you can cancel your subscription. My favorite part about this program is that it automates ordering products that I have to replenish regularly. For instance, if you take a serving of protein powder every day and there are 30 servings in a container, you can have a new tub delivered every month without lifting a finger. To figure out the cost per serving on your own, take the product’s price and divide it by the number of servings in the container. Since the amount of protein per serving varies by brand, it’s also useful to look at the cost per gram of protein. This is easy to calculate by dividing the cost per serving (as calculated above) by the number of grams of protein per serving. Why you’ll love it: If you’re looking for a powder that mixes easily and tastes great, Cellucor Whey Protein Isolate & Concentrate Blend Powder is one of the best and most affordable options. The Wirecutter recommends the Cellucor Cor-Performance Whey because it did well in the site’s taste tests. The reviewer notes that the texture is smooth, thick, and foamy. BarBend’s reviewer found it mixed easily, tasted great, and was relatively inexpensive. However, he did note that there is a fair amount of sodium (130 mg) and didn’t like that it has sucralose, an artificial sweetener. Why you’ll love it: Legion Whey+ Isolate Protein Powder is made with milk from grass-fed cows raised on small Irish dairy farms and has minimal added ingredients. 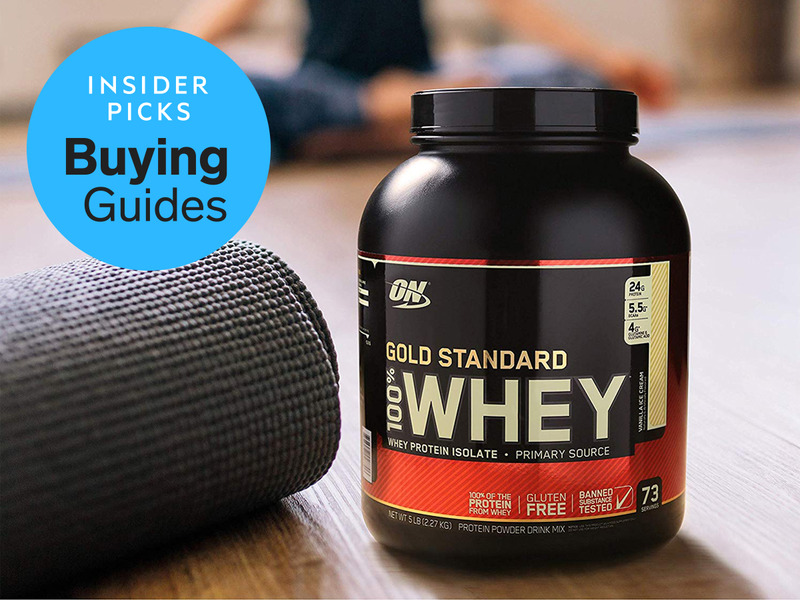 Why you’ll love it: The Optimum Nutrition Gold Standard 100% Whey Protein Powder packs 24 grams of protein into each serving and is one of the better-tasting powders according to experts and buyers.